The LVX-C line of traditional classic rings brings to life the vibrant Victorian era of finely hand crafted and hand engraved gentleman's jewelry. The LVX-C rings are stylishly classic and sophisticatedly fresh in design. Whether it be a Freemason signet ring or a Custom monogram or Coat of Arms Crest engraved ring each is produced to the highest quality standards of hand engraving and each ring is a signed original. 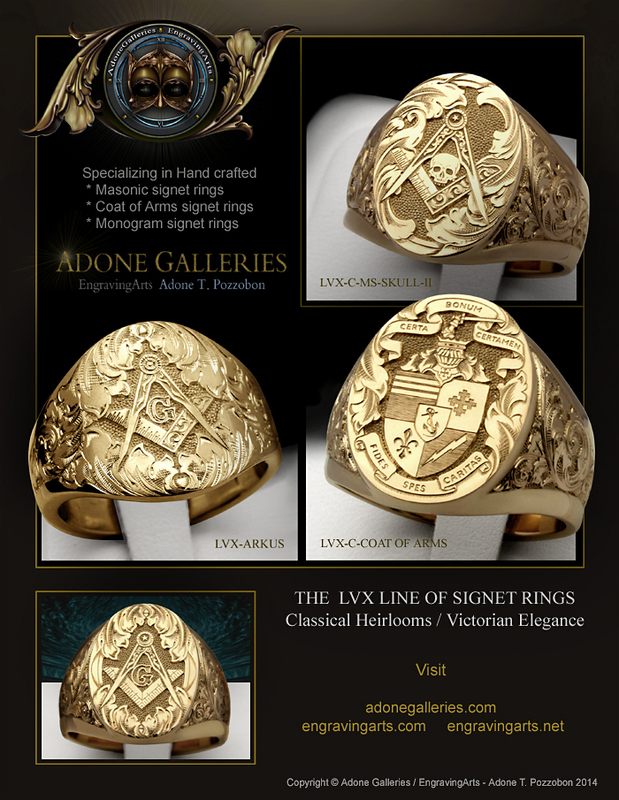 Finely made classic rings luxury hand engraved Masonic rings, Crest signets and Scottish Rite or Past Master rings. Custom wedding band engraving. Haute handmade Freemason jewelry, monograms and crest signets.